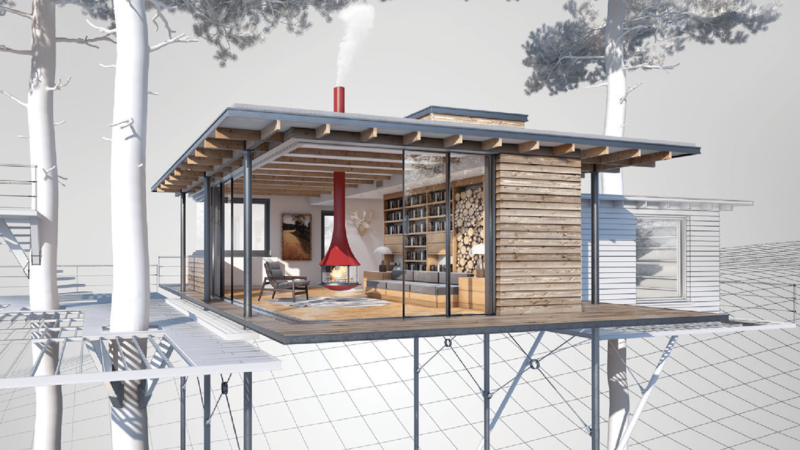 Spring is in the air, and a new version of AutoCAD is now on the street. Today Autodesk announced the release of AutoCAD 2018, and it is one worth celebrating. Not only does it introduce some impressive new features, but it also represents the 35th-anniversary of AutoCAD. To put that milestone in perspective, MS-DOS 1.0, an operating system long succeeded by Microsoft Windows (not to mention discontinued in 2000), turned 35 in August of 2016. AutoCAD reaching its 35th anniversary is both an incredible accomplishment, as much as it is a liability of the platform itself. Just as we celebrate the fact AutoCAD 2018 can still open drawings from those earliest versions, it is hard not to ask whether 35 years of baggage is a good thing? What excites me most about AutoCAD 2018 is what I believe this release represents along that 35-year timeline. While there are certainly new features to talk about in this release, I think the biggest takeaway is the investment Autodesk has made to both modernize and innovate the AutoCAD platform itself. Opening AutoCAD 2018 for the first time you will find both tangible and intangible examples of these efforts. While there are 35 years of DNA inside AutoCAD 2018, there are not 35 years of baggage. In the simplest of ways, this modernization has meant restructuring the underlying code of AutoCAD to apply best computer science practices for the year 2017 – not 1982. In some cases, this means a new feature in the desktop version, but in other cases, it means Autodesk can achieve greater feature parity between the desktop and mobile versions of AutoCAD. Even if you are not (yet) among the group of people using the mobile version of AutoCAD, a more scalable codebase is a good thing for all AutoCAD users. It is for those reasons I find AutoCAD 2018 to be such a fascinating release. In my eyes, this version represents the 35-year legacy of AutoCAD as much as it does the very future of AutoCAD. The simplest example of this is the introduction of full support for high-resolution (4K) monitors. You can now run your monitor at full resolution without fear of interface elements within AutoCAD not scaling correctly. Autodesk even updated the classic toolbars to support 4K monitors. For those of us still waiting for our hoverboards, the future sounds great, but the fact of the matter is we are all stuck in the project-based realities of today. The bottom line is a tool like AutoCAD must, above all else, support my project collaboration needs of the present. Squarely addressing those needs are the many enhancements to external references (XREFs). Relative path external references have been an option within AutoCAD for many years, but my experience is most users struggle to make sense of them. Currently, the second most popular search about relative paths is “AutoCAD Relative Path Cannot be Assigned.” That tells me my experience supporting AutoCAD users is not isolated. Despite being a long-standing best practice, many people simply give up on relative paths since they are too difficult to tame. Although this seems to save time at the moment, it ignores the project collaboration issues that are likely to arise later. Although the core functionality of external references is unchanged in AutoCAD 2018, the workflow for creating references is significantly improved. The first small but significant change is the application of a relative path to all new external references. You still have the option to choose Full Path if you wish, but the out of the box default is now Relative Path. For those with a strong knowledge about the differences between Full Paths and Relative Paths, you know you cannot set a Relative Path until you save the drawing. If Relative Path is now the default, conventional AutoCAD wisdom tells us we have a mess on our hands. That is where the second key improvement to external references comes into play. You can now specify a Relative Path reference before you save your drawing. Apart from crowning a new second-place search result, this change alone should make relative paths far more approachable for users. Other improvements to external references include a notification to update reference paths when you save a drawing in a place that breaks an existing reference path. While it is still possible to break external reference paths, AutoCAD 2018 makes it far harder to do so. In cases where you still encounter broken reference paths, the Find Replace Path tool from the Reference Manager is now inside AutoCAD. The external reference tools you are familiar with are still inside AutoCAD 2018; they are just better-designed for the needs of project-based collaboration now. From my experience troubleshooting issues with external references, just this improved feature set alone could be reason enough for some firms to upgrade to 2018. Over the years, many of the Express Tools (or Bonus Tools as longstanding AutoCAD veterans like to call them) have “grown up” to become full AutoCAD commands. While this promotion means little to many AutoCAD users, it can be a big deal for AutoCAD LT users. Starting with AutoCAD 2017.1, the Convert to Mtext Express Tool is now the Combine Text tool. Unlike the Express Tool version, this new version is available for both AutoCAD and AutoCAD LT users. There are far more new features inside AutoCAD 2018 than outlined in this post. Stay tuned over the coming weeks as I take a more detailed look at many of those features. 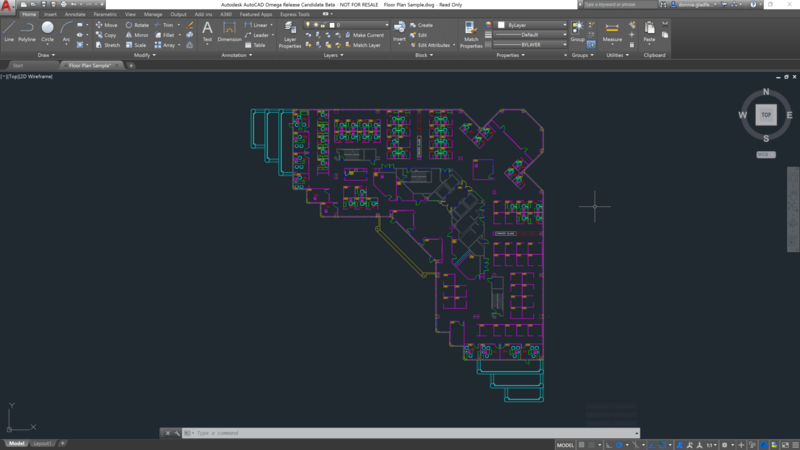 Before we reconnect for those posts, I do need to share one last detail about AutoCAD 2018 – the DWG file version. AutoCAD 2018 saves to a new AutoCAD 2018 DWG file format. Like previous releases of AutoCAD, you can save to previous versions of AutoCAD if needed. In my limited testing, I did not notice any compatibility issues saving 2018 drawings back to the 2013 file version. In summary, while the new features inside AutoCAD are beneficial, I find the real benefit of 2018 to be what rests behind the user interface. In addition to being more scalable, a modern code base means AutoCAD runs even better on your current hardware. Using AutoCAD 2018 over the last several months, I have noticed increased performance with everyday tasks like opening and saving drawings. Though your mileage may vary, the incremental gains tend to add up quickly over the period of several days to a week. Current subscribers of AutoCAD can download AutoCAD 2018 from the Autodesk Account website now. If you do not already subscribe to AutoCAD and would like to setup a chat to discuss AutoCAD 2018, I invite you to complete a quick form. If you would like to learn even more about AutoCAD 2018, read my First Look at AutoCAD 2018 on the CADD Microsystems blog.